Maps and Prints cab be as fascinating as flags. This Grouping contains specimens dating from as early as 1784 and serve as useful and colorful support artifacts for the flag collection, often enhancing an exhibition by establishing context, adding geographic interpretation or establishing a location. 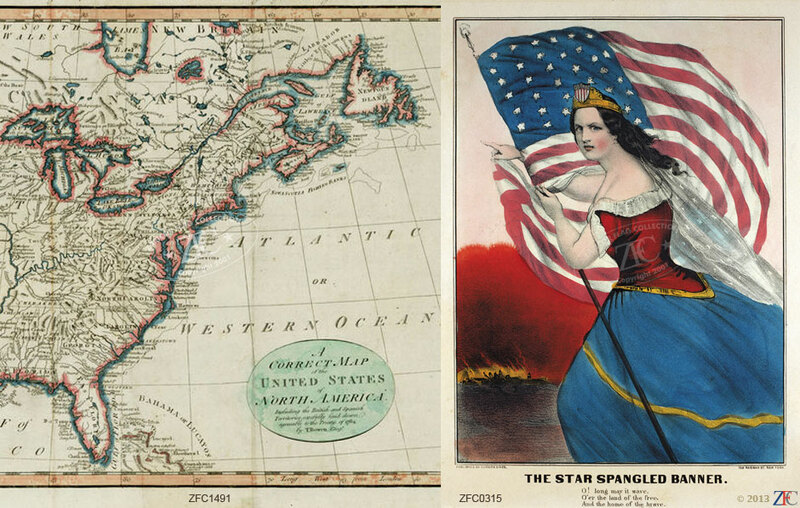 The prints, likewise, can illustrate flag use and provide a visual aide for flag exhibitions.Significant here are several 19th century prints from the venerable print makers Currier & Ives, Prang; Ogden and others.